TINTORETTO is a modern and reliable compressive system of the new generation. The equipment is designed to physiotherapeutic treatments in which is in demand mechanical pressure massage for mechanical lymphatic draining. The TINTORETTO measurement exactness, the poly-functionality of the planning system and the action of the special physiological accessories, with overlapping sectors, allow to effect the lymph nodes unblocking before make the pressure massage. TINTORETTO has realized using the most up-dated electronic technology and has their models offered: CLASSIC which allows to drive a maximum of 5 sectors, SPECIAL which drives up to 8 sectors. TINTORETTO STUDIO is a model unit designed for in ambulatory professional applications. 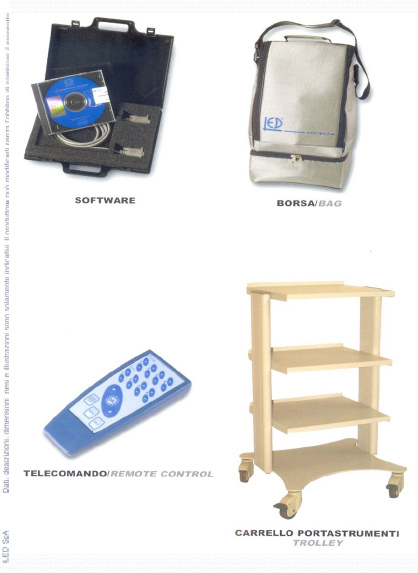 The units TINTORETTO use a patented system of automatic recognition of the connected accessory which avoids unwanted errors in the selection of the protocol or of the program. 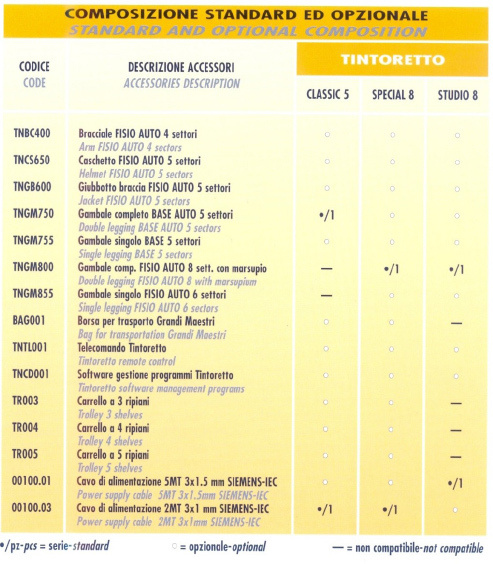 TINTORETTO allows to set different working pressure for each single sector.